Blog All Eyes on ME please ! All Eyes on ME please ! Hello , everyone …It is Faith Post Friday and for the month of October I will be posting. My name is Carla Covert. I am part of the MJOF Ministry Team. 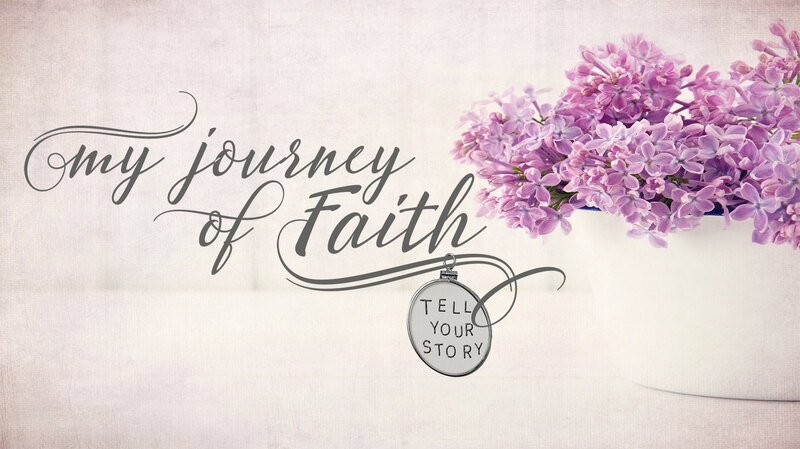 I am the Event Coordinator for the My Journey of Faith Encourage Retreats. Just a small bit about me before we dive right into it…I am married , 20 years this past July, and have 2 boys, Duncan 16 and Blake 12. I think that is important for you to know about me because there is so much God has and continues to teach me through my marriage and through my boys. In fact it couldn’t be better timing that it was my son that reminded me today of this weeks lesson at church . That God loves me ….period. There are no second class citizens in Gods Kingdom just children of the most High King. Created equal and in His image. I share this because I literally sent a text to one of the ladies on the ministry team and told her I just wasn’t sure I should be the one blogging. I think my exact words were, “I am so far from feeling like I can write anything inspirational.” ” I feel unworthy to be telling women how to keep fighting when I am exhausted from it myself.” After some talk back and forth she encouraged me to ask myself some questions and take a look at where this is coming from. And so the truth is its comparison. Good grief I thought I had that licked. I mean I thought I stamped that as complete and filed it away. But truth is the weight of comparison has just lingered and has changed over the years to what I compare and who I compare to. And every single time it robs me of joy. Every single time it leaves me laying down in defeat instead of standing in victory. Every time it brings me to loneliness instead of leading me to the truth that I AM LOVED. And so I have been consumed these last few weeks with comparison. Comparison can look different for everyone. For some its the body image, for some its the material things, for some its a marriage but I think in the “Christian” realm we have a tendency to compare ourselves in more than those ways. It becomes about our spiritual gifts, our acts of service and whose lives we can help change (as if we are doing that). Then what started out as something that seemed so “innocent” as wishing we were more like so and so, our desire becomes to make others think or see something we are not really. Almost like we are trying to “sell” something but its not Jesus we are “selling” or ” telling” or even pointing others to …its just us. Yep…all about us. Look at me. Look at what I can do, what I can be, who I have changed. That is robbing God of every bit of His glory. Actually that’s just putting ourselves on the throne and we have no place there,nor are we worthy of that glory. Isaiah 42: 8 I am the Lord, that is my name! I will not yield my glory to another or my praise to idols. Psalms 145: 3 Great is the LORD and most worthy of praise; his greatness no one can fathom. I hate that I allow the enemy to use this sin to keep me focused on something other than Kingdom work. That it keeps me from focusing my eyes on the one who is above all and the only one that is worthy of my praise. And so as I finish this blog, I admit that I am not perfect. There are days when I am totally in love with Jesus and days when I just love myself. Because lets be honest if my eyes , your eyes are fixed on anything else but Jesus than its just about me and you. I have allowed Satan to detour my eyes and my thinking these last few weeks. But I want to encourage you that as I mentioned earlier it was a sweet friend in Jesus that challenged me to step back and take a deeper look only because I was authentic and honest with her. 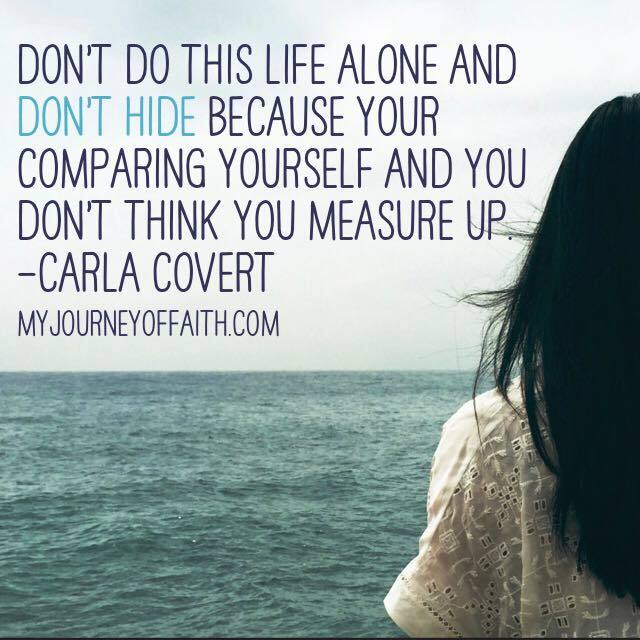 Don’t do this life alone and don’t hide because your comparing yourself and you don’t think you measure up. Being honest is hard. Admitting when we are mess just stinks. But I’m thankful for truth and Gods grace. If your allowing the enemy to use comparison to make you ineffective for HIS kingdom, your not alone. But praise Jesus there is victory because HE is victorious. Just repent, receive forgiveness and fix your eyes upon your maker. Give yourself grace ladies…..because God has lavished it upon you! Psalms 86: 12 I will praise you, Lord my God, with all my heart; I will glorify your name forever.